INDUSTRY.co.id - Palembang- PT Bank Tabungan Negara (Persero) Tbk is targeting the commercial home financing sector in line with the start of the economic stretch in 2018. Head of BTN Palembang Branch Adrian Syarhbandi in Palembang on Monday said that commercial house sales and financing have been acknowledged as sluggish in the past few years in South Sumatra due to the declining price of rubber commodities, but in 2018 there is improvement even though it is not as good as in 2011-2012. "We see an opportunity in commercial home financing, and is expected to climb this year 2018 because in South Sumatra especially the economy is improving because of the influence of the Asian Games which will be held this year," he said. He said BTN projected the financing of around 2,000 commercial homes for Palembang this year by holding 30 developers. Houses with selling prices below Rp500 million or above subsidized housing prices are offered with a lending rate of only 4.67 percent. "In addition to obtaining low loan interest rates, we also provide digital solution applications in the Home Ownership Credit (KPR) menu to enable consumers to choose, so they can find out which houses are being built and which will be built," he said. Chairman of the Board of Regional Leaders Re Estate Indonesia (REI) South Sumatera Haryadi Begawan said that there is sluggishness in the luxury home segment due to the impact of weakening purchasing power. "The luxury-property-specific property business has declined by 40 percent by 2015 and this year has not shown any improvement. In this one million home program, this year, REI Sumsel is targeted to sell 1,500 units of commercial homes," he said. To that end, REI expects the government to generate business development of this luxury home by providing convenience in licensing. 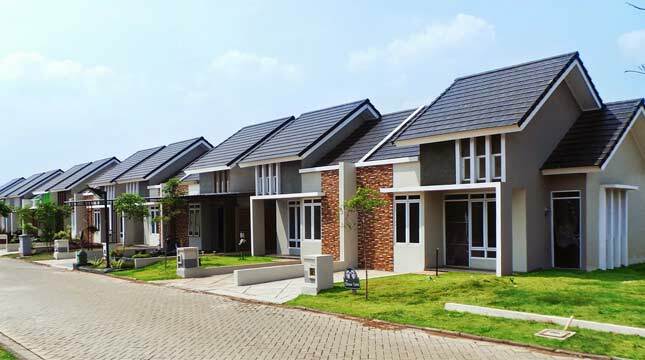 Associated with the weakness of the luxury home sector, he said has made the middle-class housing businessmen with prices ranging from Rp 1 billion per unit, began to try out cheaper homes that get subsidies from the government.